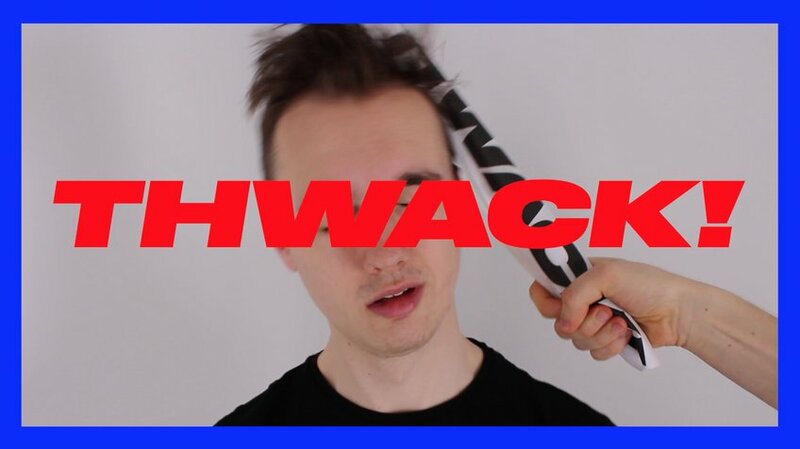 New Blood Entry — Thwack! 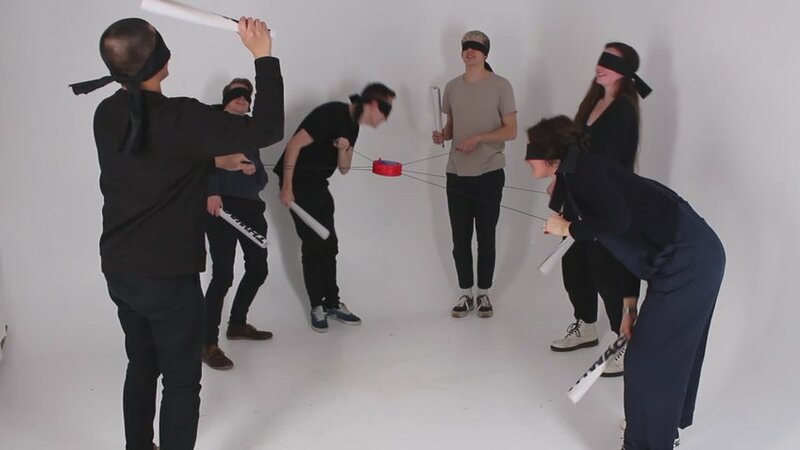 The new multiplayer action game. 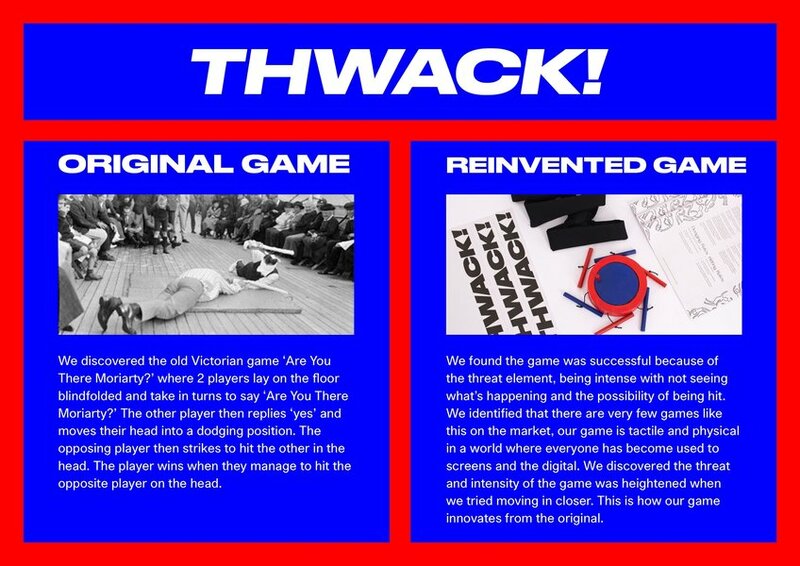 Thwack is a 2-6 player game, where you try to hit your friends on the head with a newspaper whilst blindfolded. It is based on the old Victorian parlour game ‘Are you there, Moriarty?’, where two players lay on the floor with their eyes closed and arms linked and use newspapers to try and hit each other on the head. 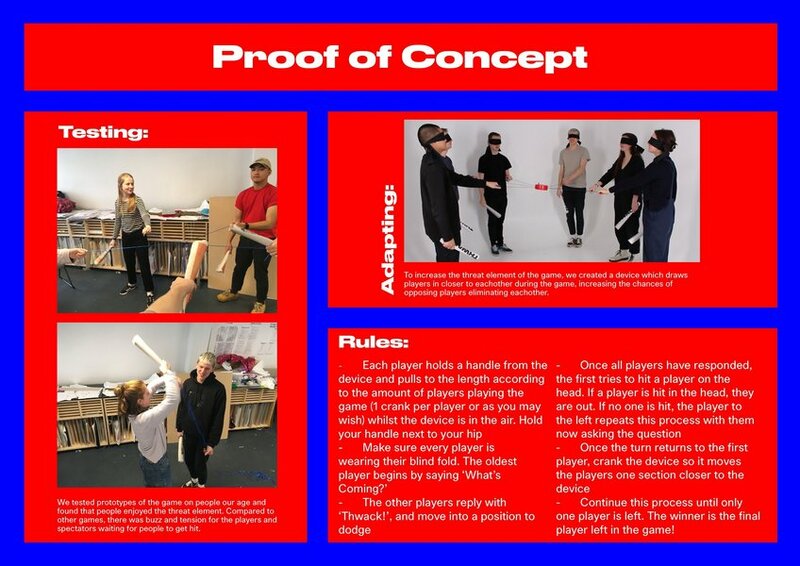 We have reinvented it by creating a device, that allows two to six people to play, and brings them in closer after each round, dramatically increasing the intensity. The last player standing wins!